The weather is beginning to warm up, the kids have spring fever, and you are restlessly itching to spend time in the season’s newfound sunshine. This can only mean one thing. 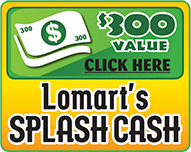 It’s time to open your Lomart pool! 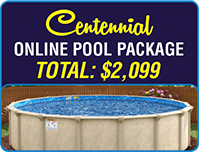 We want to make this an easy process for you so you can begin to enjoy the benefits of a pool oasis in your backyard sooner. Follow the simple step-by-step guide below to start enjoying your Lomart today! Remove any debris (leaves, branches, etc) from the top of your pool cover. Be sure to also remove any water that has collected on the cover. Disconnect and remove the cover cable from the ratchet and take out any clips from the cover or water tubes. Remove the cover being careful not to let any dirty water or debris fall inside the pool. Remove and deflate and pool pillows used to hold the winter cover up. Clean your pool’s winter cover making sure that the surface is clear of any algae build up and is ready for storage. Fold cover and store in a plastic container with a cover to ensure that mice, ants, or pests cannot destroy it. Using your Embassy Leaf Net or Leaf Net Rake, remove any leaves or debris from the pool swimming area. Expect your water level to be lower than normal due to water displacement throughout the season. Add water to the pool bringing it to at least half way to the top of your skimmer opening. Water level marks can be found on the faceplate of your Lomart skimmer showing you the correct water levels for your pool. Check your Lomart pump, filter, skimmer, and return to be sure that all is in proper working condition. Check that all o-rings are in good condition, replace if necessary, and be sure to properly lubricate. Install Lomart pump and filter to the base using screws provided. 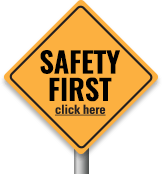 Be sure that all electrical connections are in good working condition and are updates to your local electrical codes. Connect all hoses from your skimmer to pump, pump to filter, and filter to return using stainless steel clamps. If applicable, remove the winter plate from the faceplate of the skimmer. Double check to ensure that all skimmer faceplate screws are tightened firmly. Install the eyeball into the return fitting making sure that the eyeball is facing in a downward position for best water circulation. Install the skimmer basket. Check to see that the skimmer weir is in good working condition. Place the skimmer lid into position. If you have a Lomart Deck Ladder, install the ladder rail into the deck mounted flange and/or install your Lomart A-frame Ladder per instructions provided. Make sure that all of your electrical units are grounded and test your GFCI. It is always recommended that you first consult a licensed electrician to be sure that all electrical circuits are I proper working order. DO NOT PROCEED UNTIL YOUR ELECTRICIAN HAS GIVEN HIS APPROVAL. If you have a Lomart DE filter, first refer to the instruction label on the side of the tank for the proper amount of DE to be added prior to operating. If you have a Lomart Cartridge filter, be sure that your cartridges are in good condition prior to operating. Contact your local Authorized Lomart Dealer to purchase new cartridges if necessary.  If you have a Lomart Sand filter, first refer to the instruction label on the side of the tank for the proper amount of sand for your filter. Check that the drain plug is tightened. Filter sand should always be replaced every two years. Move the valve handle to the “backwash” position and run the pump for a few minutes or until water becomes clear. Move the valve handle to the “Filter to Waste” position and run the pump for a few minutes or until water becomes clear. Move the valve handle to the “filter” position and turn pump back on. Take a water sample of your pool’s water to your nearest Authorized Lomart Dealer using a clean plastic container for testing. Proper instructions of items needed will be given to you to get your pool up and running for the swimming season! Step Eight: Enjoy your LOMART POOL!!! !